Operating trains is the main issue on real railroads. Why should a loco running when not moving a train from one location to another carrying people or goods? 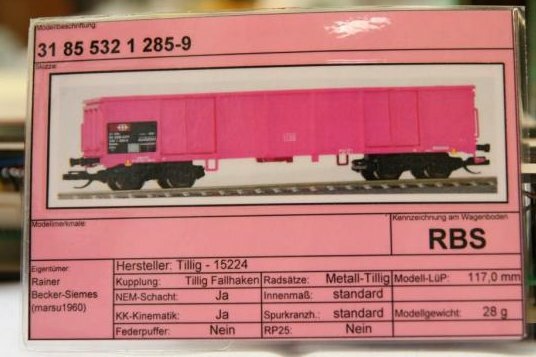 All Rocrail features around assembling and operate trains are described here in chapter "trains"
Shunting freight cars and delivery of goods, including logistics by car cards and waybills are a second element in reality. All Rocrail features around these themes are described here in chapter "operator"
For both issues this dialogue “Operator & Trains” is used. Easy change the locomotive of a train. Locomotives and cars are managed completely independent. Max. km/h for each member of the train. Weight loaded and unloaded which can be used for automatic modification of Loco acceleration. Dedicated functions for a train, controlled by loco throttle by "shift" when loco assigned to the train. Automatically update of the train locality. The Operator Control is an assistance to do car forwarding without real cards, but with help of a dialog. Also composing a consist together is done by this dialog. Cars can be added and left behind for loading, unloading or maintenance. It offers an easy way for running some parts automatically and the rest by hand. 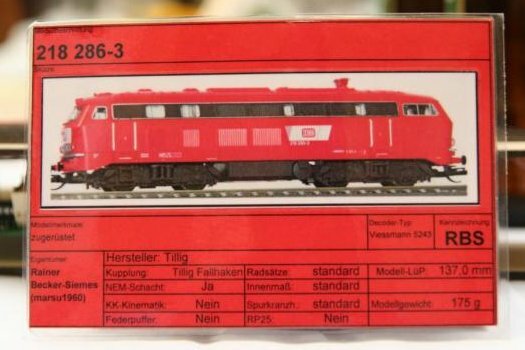 A card used to represent a specific model car on a layout. It will have at least a basic description of the car such as type and color as well as reporting marks and number to identify it. The carcard information is "permanent," ie. does not change regardless of what the car is currently doing. 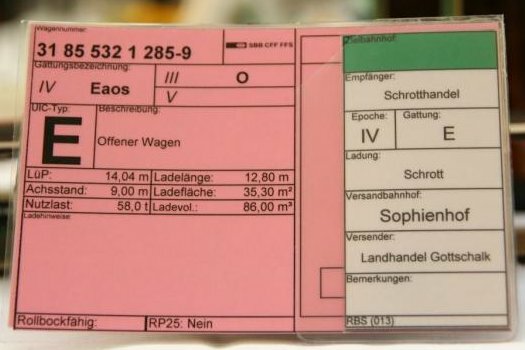 A card used with the carcard (above) to indicate the destination, routing and other information about the specific shipment the car is currently being used for. 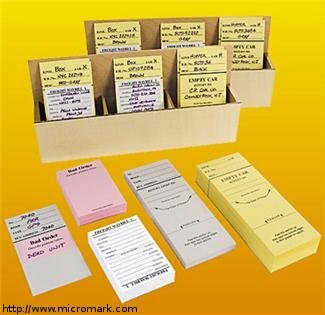 Usually the waybill card is a separate item smaller than the carcard such that it can be clipped to or (more commonly) slipped into the pocket of the carcard leaving the car identification information showing. 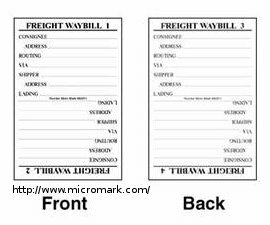 The waybill may show information about 1, 2, 3, or 4 (sometimes more) movements depending on which side of the waybill is turned up. 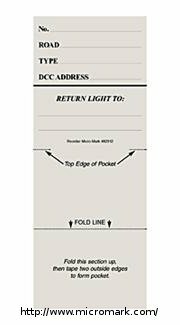 The actual "owner" of the card can be either a consist or a location. 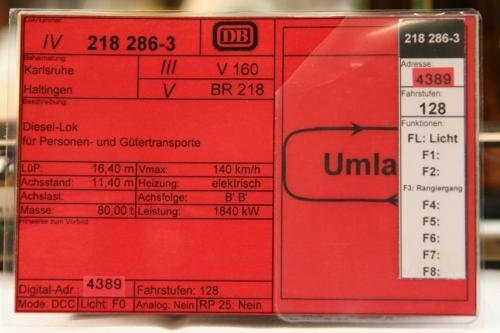 Waybills contain the instructions for the movement of the cars over the layout. This already exists in Rocrail: Locomotive Table. A From-To selection for an "automatic on demand" controlled "Main line Run"
freeing up the last known location of the train in Rocrail and reserve a yard(block group). leave a yard and enter a main line block. On the same tab one or more waybills for the selected car. Move Car Cards to edit the consist. A move can take place between locations and consists. ¹) At least the waybill table must be shared by all Rocrail servers. If every Yard or station is controlled by its own Rocrail server it needs a networking functionality to run trains from station to station in automatic mode. Select a free block to bring in a train to give it over to the automatic control. Set an end block/location to get back into manual control.